Our forums tend to loathe it when magazines produce multiple covers for a single issue. Not so with American ELLE, however, which nailed the covers for its ‘Women In Comedy’ edition back in July and killed it for the annual ‘Women In TV’ issue back in January. 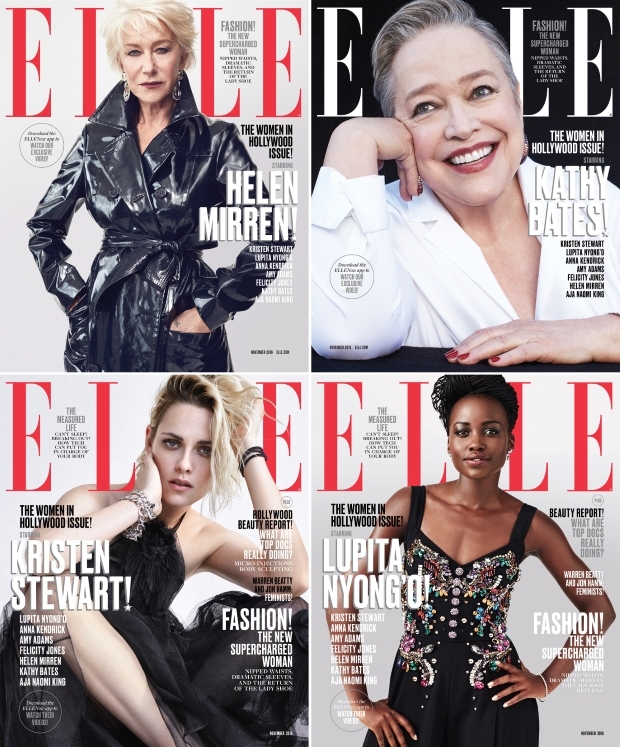 Now it’s time for ELLE‘s annual ‘Women In Hollywood’ issue featuring Aja Noami King, Amy Adams, Anna Kendrick, Felicity Jones, Helen Mirren, Kathy Bates, Kristen Stewart and Lupita Nyong’o, each photographed for a solo cover by Dan Martensen. Whose cover came out on top? As always, our forum members weren’t afraid to voice their opinions. “I think they all look great, they managed to style them just right,” kokobombon approved instantly, setting the tone for comments to follow. “These are gorgeous. Kristen’s is by far my favorite. Everyone is styled so well. Well done ELLE,” echoed Bobby153. Also an admirer of how things turned out was Benn98. 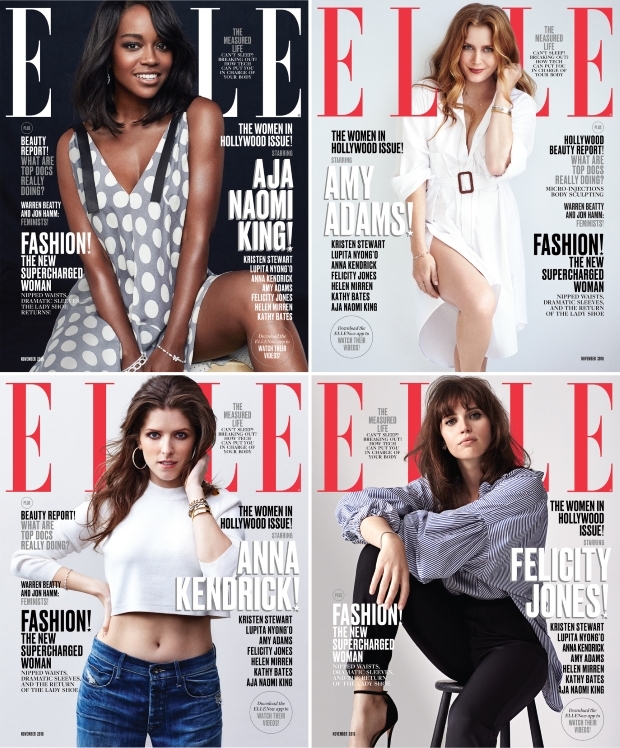 “Everybody looks great here, quite a feat for ELLE. Love the styling on Helen and Kristen, Felicity’s makeup. Not sure who the first lady is, but her cover is the best for me,” he pointed out. “Everyone’s cover suits them, which is lovely! Felicity is my favorite here, this is how I like to see her styled. Kathy Bates is an unexpected and awesome choice too,” raved a delighted SallyAlbright. “Aja and Kristen’s covers are striking. Happy for Aja to score a major magazine cover. She’s so pretty,” fluxxx chimed in, quick to share his enthusiasm toward the covers. Do you have a favorite? Let us know and join the conversation here.